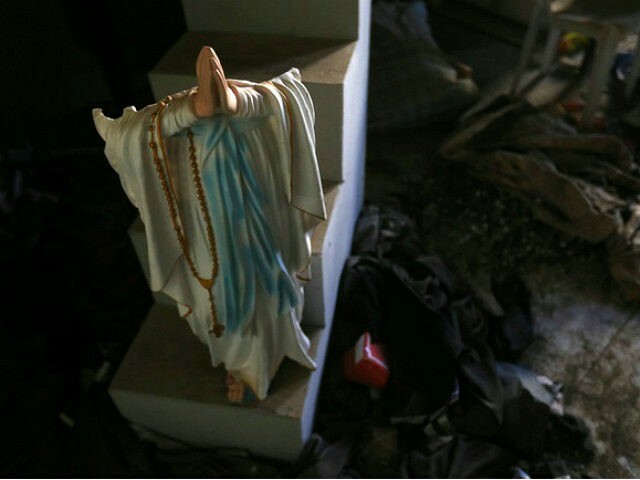 Iraqi Archbishop: Where Were Protesters ‘When ISIS Came to Kill Christians’? Warda also criticized the policies of the Obama administration, which offered no financial assistance to displaced Christians in Islamic State territory and instead favored Syrian Muslims when it came to accepting refugees into the United States. “I do not understand why some Americans are now upset that the many minority communities that faced a horrible genocide will finally get a degree of priority in some manner,” Warda added. The archbishop also suggested that the inconvenience posed by a three-month moratorium on visas is nothing compared to the suffering of minorities in Iraq and Syria during the past several years, and yet no one seemed to think that was worthy of a protest. “But there were none of these protests then of ISIS’s religious test,” he said. In his lengthy interview, Warda underscored the hypocrisy of protesters who are willing to side with Muslims but won’t lift a finger to aid Christians facing genocide in the Middle East. “From here I have to say, it is really unbelievable,” he said. Warda also blasted the careless journalists who have called the order a “Muslim ban,” noting that this label is not only false but also dangerous to Christians and other minorities living in lands dominated by Islamic terrorists. “For the media these things become an issue of ratings, but for us the danger is real,” he said. “We are an ancient people on the verge of extinction because of our commitment to our faith. Will anybody protest for us?” he asked.